for your business. Simply brilliant. Watch the overview video to find out if Accumulus Subscription Commerce is for you. 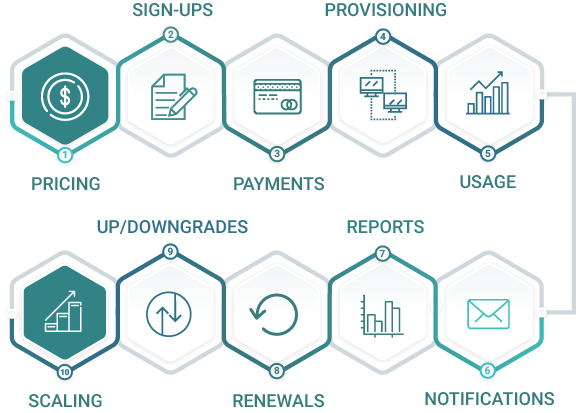 Automate the entire subscription process, including recurring billing, payment processing, customer communications, and many other aspects of your recurring customer lifecycle. It is easy to get started with Accumulus subscription commerce. Simply configure your merchant account, your products and plans, and start signing up customers. For Software-as-a-Service businesses, implementing market leadership through product focus requires streamlined efficient sales and operations. Automating the entire customer lifecycle is key. For digital content providers, having a monetization strategy and platform that is flexible and agile enough to evolve with the business is key in today’s changing digital content landscape. Whether it is in-app purchases, usage based-pricing, licensing, or freemium scenarios, choosing the right monetization strategy continues to play a key role in the success of an online game. More and more retailers are recognizing that subscriptions aren’t just great for online businesses, but that they can also be used effectively by brick-and-mortar businesses as a high margin revenue enhancer. With the almost limitless pricing flexibility, you can design pricing which maximizes your revenue and is a strategic differentiator. Increasing the lifetime value per customer requires a focus on both reducing churn or increasing retention and upsales. Fully customize easy to use signup and customer portal plug-in widgets to optimize your conversions and help your customers help themselves. PCI compliant recurring payment processing makes it possible for you to focus on growing your business. Custom provisioning information can be set up to let your systems turn on/off or suspend access to products and services automatically. Timely communication with your customers throughout their lifecycles is key in maximizing successful product adoption, use, and retention.